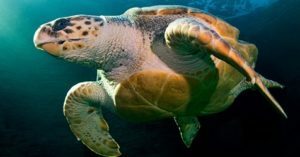 “Pemba has been at sea for 109 days now, and finding herself about 220 km from shore. She has moved offshore and currently moving in a slight south-westerly direction. She is about 195 km SW of Hondeklipbaai. She is in deep water, with seabed depth at about 227m and water temperature of 18°C. 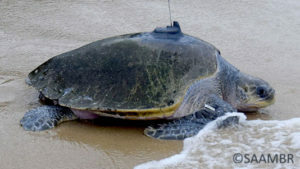 Pemba has now traveled 7000 km since her release in March. That is incredible! “Yoshi has been navigating around some lovely sea mounts where she must have been feeding. This area is off the coast of the 2 Angolan provinces Benguela and Cuanza Sul. Angola has 18 provinces, of which 7 are coastal, and she has now traveled past 3 of these provinces. The water temperature is about 22°C at her current location, and reasonably shallow, with seabed depth at 15m. 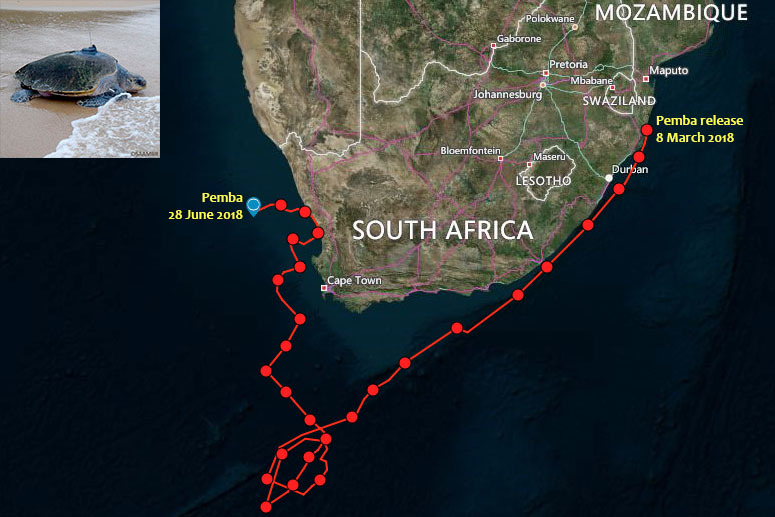 It has now been 190 days since her release and her average distance per day covered remains in the 26 – 27km region. Total distance covered has now passed 5000km! WOW! 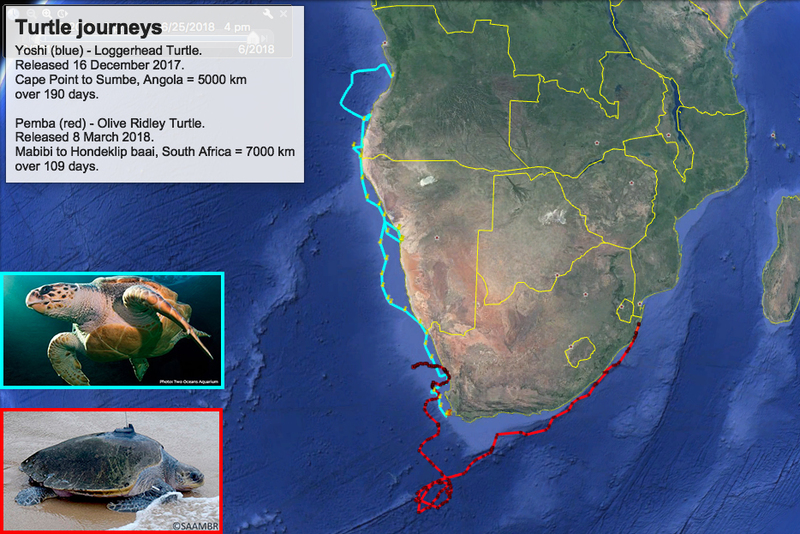 It is amazing to see how these 2 turtles have now collectively covered 12 000 kilometers. That is the straight line distance from Cape Town to the Galapagos Islands!